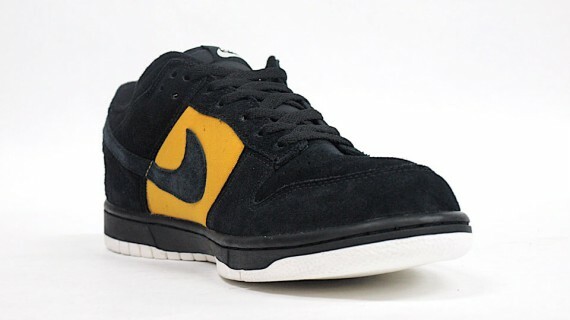 Check out this all new colorway of the Nike Dunk Low 08 CL ND. Due out this month at select Nike Sportswear retailers. 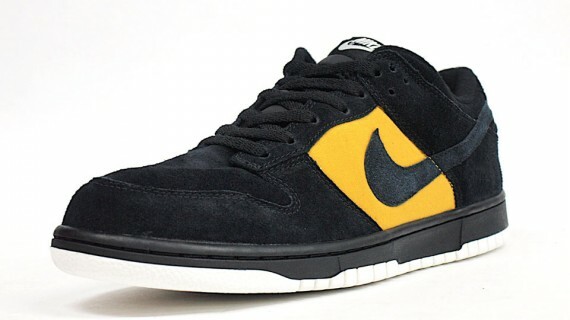 Arriving in a look that would be perfect for an SB Dunk Low, is the all new Nike Dunk Low 08 CL ND. Sporting an all suede construction and an extremely simple color combo, don't be surprised if we see this Dunk Low 08 CL ND bring shredded up by skaters all over the streets. 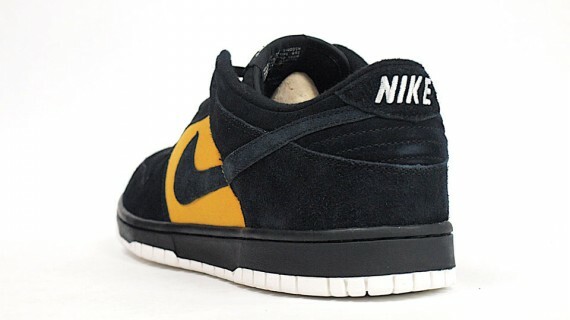 Black suede is called upon for the upper, along with gold dart taking place on the nylon side panels. 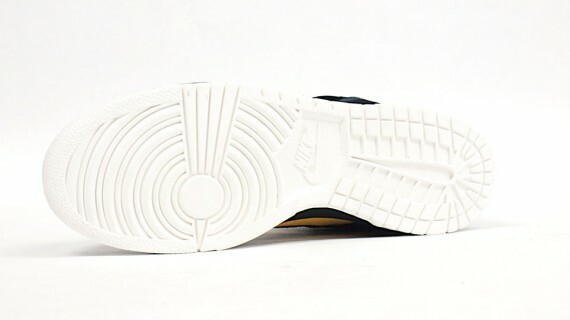 Black and white come together on the sole below, creating a look thats reminiscent of the classic "Raygun" SB Dunk Low. Additionally, white is also seen adding minimal accent on branding throughout. Look for this latest Dunk Low 08 CL ND to arrive at Nike Sportswear retailers very soon.